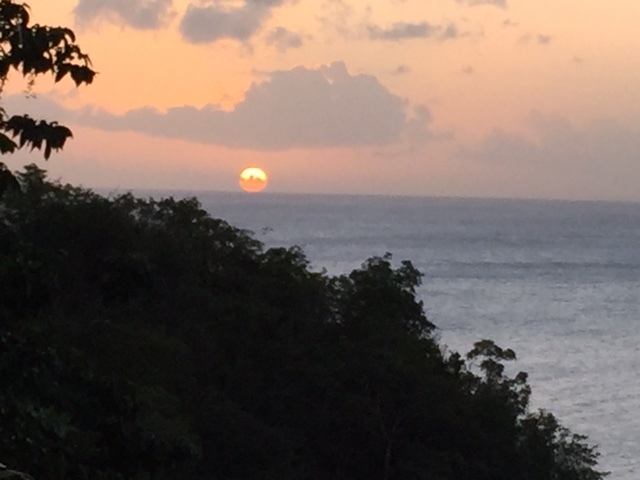 December 2015 Newsletter: Plan your Travel Year! With the Holidays soon upon us, December is the perfect time of year to give yourself a gift and create a wish list of destinations for the next 1 to 3 years. Take it from a travel writer who's spent the past 25 years flying around the world. I still haven't been to China, Russia, Denmark, Malaysia, or Uganda. It's simply impossible to see the entire world, so please don't make the mistake of leaving all your travels to that day you retire. Try to knock one or two dream destinations off each year. 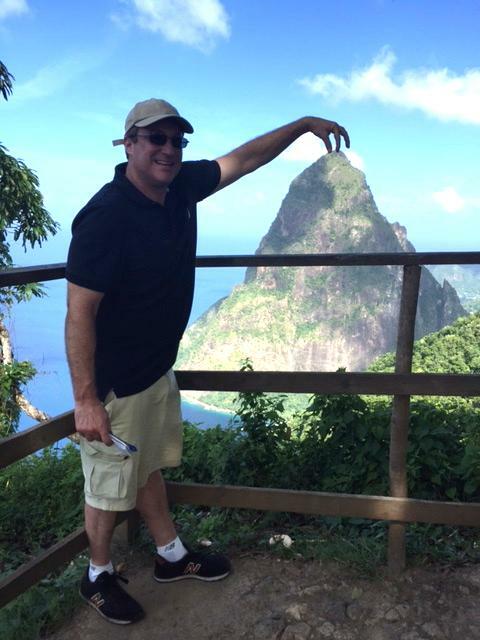 You can add Saint Lucia to the list of countries I finally made it to, having just returned. I write about my experience in this month's "On the Road" feature story. If you're looking for a warm weather destination a little closer to home, consider Anna Maria Island and the Bradenton section of Florida, easily accessible with direct flights to Sarasota. Lisa and I love visiting New York this festive time of year. In fact, we head to the city later this month to see my family and the hit Broadway smash, "Hamilton." So we thought it would be a good time to discuss some of our clients' favorite lodgings in New York. We'd also like to introduce you to an outfitter we enjoy working with for the increasingly popular destination of Colombia, and compare the amount of legroom available in airlines. When you travel with ActiveTravels, we want to make sure you do it in comfort! Happy travels & happy holidays! With new direct flights from Boston and Chicago, Saint Lucia is poised to be one of the top locales in the Caribbean this winter. Once you arrive, expect a lush volcanic island that's home to the dramatic twin peaks called the Pitons, miles of uncongested beaches, great water visibility and active reefs for scuba diving and snorkeling, a welcoming people, and some of the finest resorts in the Caribbean. 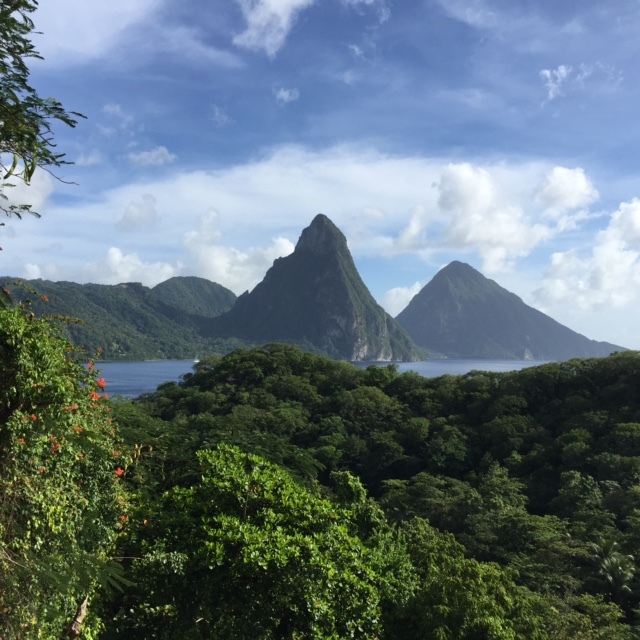 Having just returned from a week of adventure on the island, staying at a handful of the best properties on Saint Lucia, I'm here to give you the scoop. 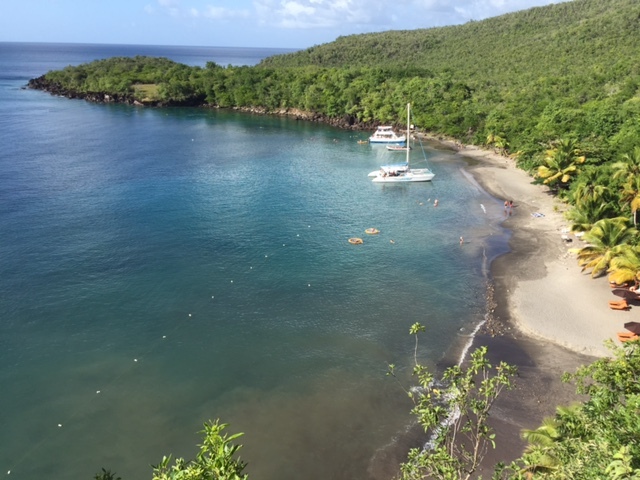 Flights arrive in the southern part of the island, so if you're headed to any of the resorts in the north like BodyHoliday, Cap Maison, The Landings, and Windjammer Landing, where I stayed the first two nights, count on a 90-minute drive once you touch down. If you're headed to the western part of the island close to the Pitons to stay at Anse Chastanet, Jade Mountain, or Sugar Beach, plan on a 50-minute drive. 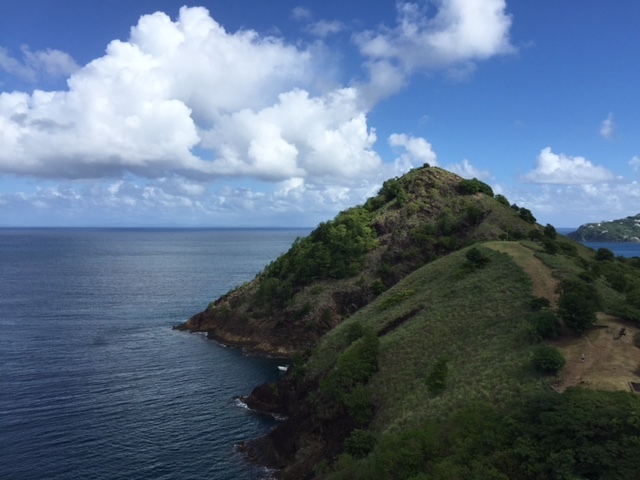 A perfect introduction to the island of St. Lucia is to simply take a hike at Pigeon Island National Landmark. Pay the $7 admission fee and soon you're walking in the shade under a row of casuarina trees. As you climb the hillside, the beaches and resorts on Rodney Bay come into view. There was a slight drizzle when I took the walk and the tropical vegetation smelled ripe with humidity. The high-pitched calls of birds greeted me to the walls, ramparts, and cannons still standing at Fort Romney. The 18th century fortress perched atop the promontory was an important chunk of land for the British trying to hold off the French in their many battles over the island. To the north, I could see the ridges of the long island of Martinique. To the south, I could make out the Pitons, a UNESCO World Heritage Site. Then it was back to my private plunge pool at Windjammer Landing. Known for its villas that climb a hillside offering spectacular views of the sunset, the resort is popular with families. They feature a Kids Club, long sloping shallow beach, and spacious villas with full kitchenettes. Judging from all the people carrying around scuba gear, tennis racquets, and golf clubs, the resort is also known as a playground for adults. I took full advantage of the opportunity to take out a Hobie Cat in the sheltered bay. My driver Vaughn was a delight, passionate about the history and people of this island. He picked me up at Windjammer Landing and drove me to the verdant western side of the island, home to the largest banana plantation on the island, a rum distillery, and fishing villages like Anse La Raye, known for its seafood street festival held every Friday. At an overlook peering down at picturesque Marigot Bay, where Mick Jagger and Oprah both own homes along the waterfront, we walked into a nearby store to sample banana ketchup, hot pepper spices, and spiced rum with grenadine. Less than an hour later we made it to Ti Kaye, a boutique resort nestled into a hillside above a glorious strip of secluded beachfront. I would soon find out that the best part of the resort is the bay next to that beach called Anse Cochon. I threw my bags down in my room, changed into a swimsuit and practically flew down the 165 steps to the beach. I grabbed an ocean kayak and paddled down the western shoreline past cliffs where vines clung precariously to the top, deserted beaches which I'm sure honeymooners staying at Ti Kaye have taken full advantage of, and a green velvety hillside that led to jagged mountainous ridges. I can't tell you how liberating it is to grab a kayak and take a paddle just by your lonesome down this unpopulated stretch of coastline. The only person who passed me during the 2-hour paddle was one fisherman. My next stop was Anse Chastanet, consistently rated one of the top resorts in the Caribbean by Travel & Leisure and Conde Nast Traveler. The view of those twin volcanic peaks, the Pitons, from the balcony of my room was jaw-dropping. The way the jagged ridges rise from the sea to a height over 2,000 feet reminds me of a South Pacific isle more than the Caribbean. Next door to Anse Chastanet is Anse Mamin, a former 18th century plantation and sugar mill. The 500-acre ruins are now home to more than 8 miles of mountain biking. I met my guide Tyson next to one of the ruins, a former storage facility for molasses that now houses Cannondales and off we went on the Riverside Trail. 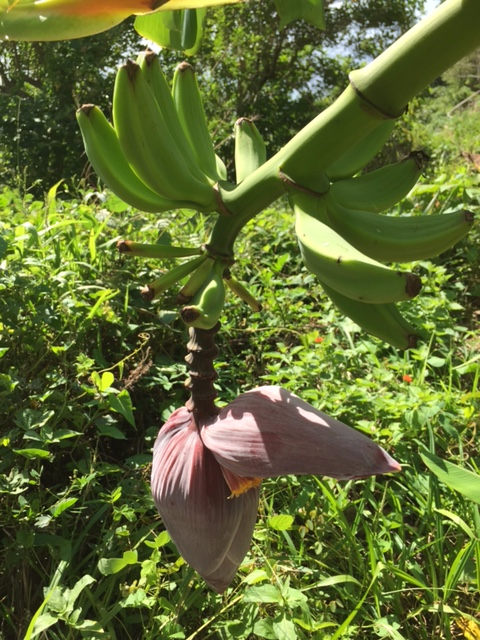 Within moments we were riding over fallen leaves of almond, tall African tulip, and calabash trees on a soft singletrack trail next to a river. Deep in the jungle we crossed over a bridge onto the Agua Dulce trail, which translates to "Sweet Water." The trail was sweet as we cruised downhill sweeping over some rocks and roots to make it to the first reservoir ever built on Saint Lucia. There were a slew of things I liked at each of the resorts I visited. The new spa at Windjammer Landing is wonderful and so was the masseuse who delivered that signature massage, a mix of defoliation, hot stones, bamboo, and deep tissue digging. Ti Kaye has one of the finest wine lists I've seen in the Caribbean, including a rare sighting of a Joseph Phelps Insignia. Sample it in their wine cellar along with a prix-fixe menu. Anse Chastanet has a second beach near the Jungle Biking excursion that's often far less crowded than their main beach. I went snorkeling at their reef by myself, before the tour boats arrived, and spotted one of my favorite tropical fish, the yellowfin chromis. Atop Anse Chastanet, the rooms at Jade Mountain are a dream. 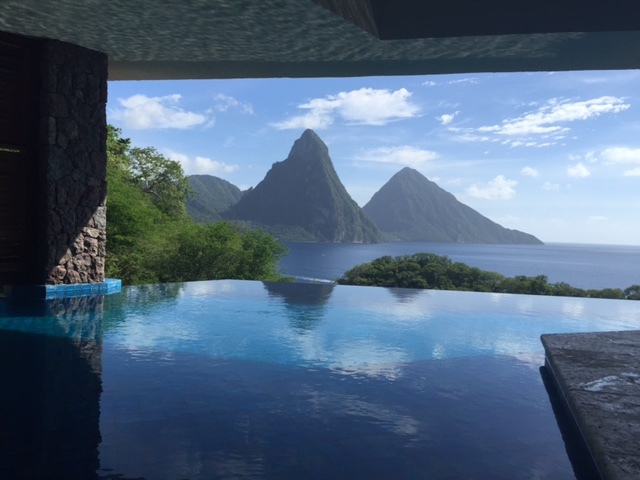 You can sit in your private infinity pool and stare in awe at the Pitons straight ahead. Also ask to tour the chocolate laboratory on premises where they make their own organic dark chocolate bars from a nearby cocoa plantation. The sand at Sugar Beach is the whitest I've seen in Saint Lucia. I also had the chance to visit smaller lesser-known properties that are more affordable. Give us a call to discuss. Heading to New York City this holiday season to enjoy the festive atmosphere, see the ball drop, wait in line to view the Christmas windows, or take in a Broadway show? 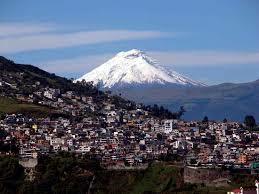 Come December and we begin to think about visiting our family, friends and basically eating our way through the city. It's a good thing we walk so much when we go. Here are some of our favorite hotels we've stayed in. Let us know if you have a favorite of your own. 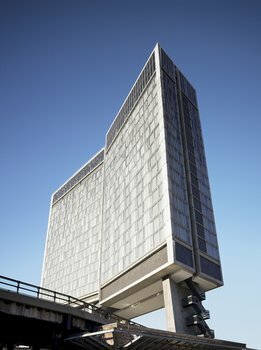 In the Meatpacking District, The Standard Hotel literally straddles the High Line, that awesome urban park created on abandoned elevated train tracks. Nineteen stories high, with over 300 rooms, this hotel offers funky spaces to match its architecture and environs. The plaza just below the hotel is a Bavarian beer garden in the summer and in the winter an ice rink with hot toddies and giant gingerbread men. Check out their Skate and Stay Package now through Leap Day. It includes skate rink admission, rentals for two and two spiked hot chocolates. 147 West 43rd Street This hotel is a gem. 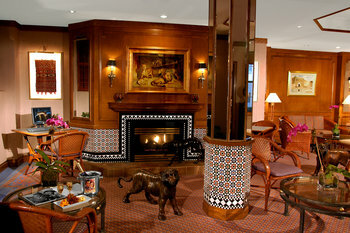 It's a boutique hotel that emanates charm and quiet, even in its lively Times Square location. The rooms can be on the small side, as are the hallways, but its Moroccan style décor of colorful mosaics, Oriental rugs and Casbah-like interiors give this hotel an exotic feel. A nice perk is their well-stocked Continental breakfast, which comes with the price of the room. 130 West 44th Street Part of Starwood's Luxury Collection, The Chatwal is housed in an Art Deco building designed by Stanford White, the same guy who designed the Washington Square Arch and Madison Square Garden back in the day. 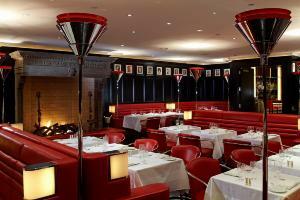 Check out Geoffrey Zakarian's Lambs Club restaurant onsite if you want to soak up some 1930s glamour while drinking some prohibition-era cocktails and lounging on their red leather banquettes. And, the guest rooms come with butler service! 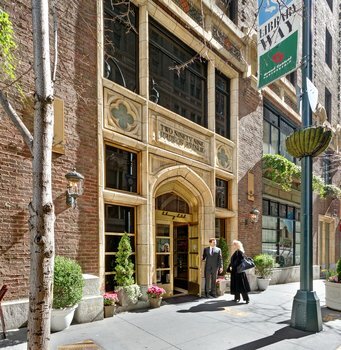 299 Madison Avenue at 41st Street Located not too far from Grand Central Terminal, this 60-room boutique hotel is the perfect place for book lovers. It takes its theme of the library and it runs with it from wooden card catalog decorations, a reading room with shelves overflowing with books, a poetry garden (really a glassed-in conservatory with a small bar on the hotel's top floor) and even a writer's den (where you can read on cozy chairs near the fireplace). Guest rooms are organized according to the Dewey Decimal System, each floor has its own theme according to its number. Check it out (get it?). 59 West 46th Street This budget hotel offers clean rooms, free wifi, a complimentary Continental breakfast and a spacious lobby for hanging out. 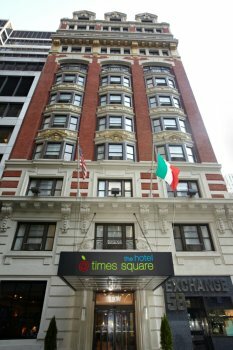 The price is right and the location can't be beat right off of Times Square and near many theatres, shops, the wax museum and lots more. 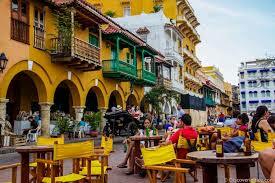 Central and South America are hot destinations right now. For those who want something different than Mexico or the Caribbean, these locales beckon like the sweet sounds of salsa music. Thankfully, we have great ground operators for many of these Latin countries so we know our clients are in the best of hands when they visit such beautiful destinations as Peru, Brazil, Chile, Argentina, Belize and Costa Rica. 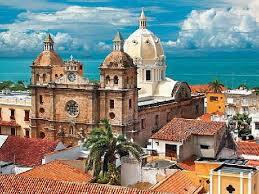 Now we are thrilled to recommend Latin Excursions. Their expertise in everything Ecuador, Galapagos Islands, Colombia and Panama has helped us to guide our clients to enjoy safe, cultural, adventurous vacations while traveling to these stunning locales. The owner, Eric Sheets, has been named to Wendy Perrin's Top Travel Specialists List several years in a row, so this is always a great stamp of approval! Pick a trip style, whether it's R&R, adventure, a family trip or culinary exploration and the owner and his trustworthy and expert staff will work with you to create a memorable trip. Contact ActiveTravels if you are interested! If you're feeling a little snug in that airline seat lately, realize that airlines are reducing legroom in economy seating as another egregious way to boost profits. 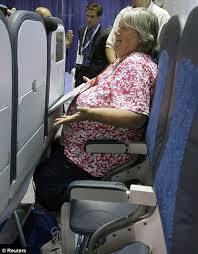 The Boston Globe reported that Southwest has recently reduced legroom to add one additional row of seats. Other airlines simply want you to have an uncomfortable flight so you'll spend more money on their premium economy seats featuring, you guessed it, extra legroom. Spirit is the worst in the industry, with a mere 28 inches between rows. Contrast that to JetBlue, whose airlines are often in the 32-33 inch range. The industry standard is now 31 inches between rows, down from 32 inches a decade ago. It's only going to get worse until the government passes a passenger's bill of rights that includes minimum legroom. Otherwise, economy class passengers might be hanging from the ceiling likes moths in a cocoon. If you're yearning for a dose of warm weather this winter, consider a long weekend or week on Anna Maria Island or Bradenton on the Gulf Coast of Florida. With direct flights to Sarasota (a 30-minute drive to Anna Maria Island), you could be on the legendary white beaches with little effort. 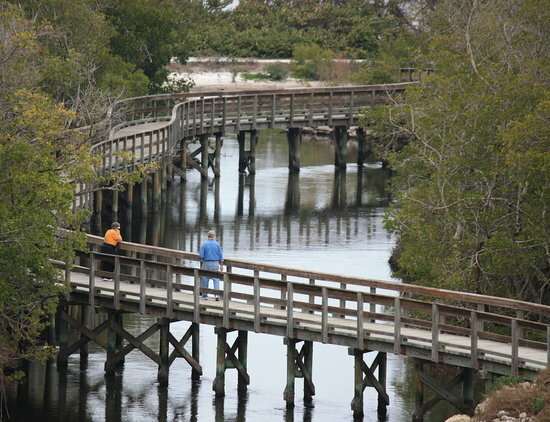 Anna Maria Island has an old Florida feel, not unlike Sanibel Island to the south. Local boutiques and restaurants like the highly regarded Beach Bistro line Pine Avenue . If you tire of the beaches and cafes, the region is known for its wealth of outdoor recreation. Kayak or paddle board through the mangroves at Robinson Preserve to get close to manatees, dolphins, and sea turtles. Bike through coastal reserves, go horseback riding along the shoreline, or check out the organic produce at one of the many inland farms in the area. Bradenton is also home to one of my favorite restaurants in Florida, Derek's, which recently moved from Sarasota. One bite of the gulf prawns in a maple smoked red chile sauce or the tender beef short ribs paired with wild mushrooms and you realize why owner Derek Barnes, who trained under Emeril Lagasse in New Orleans, was nominated by the prestigious James Beard Foundation as one of the best chefs in the southeast. Give ActiveTravels a shout if you want some excellent hotel recommendations.